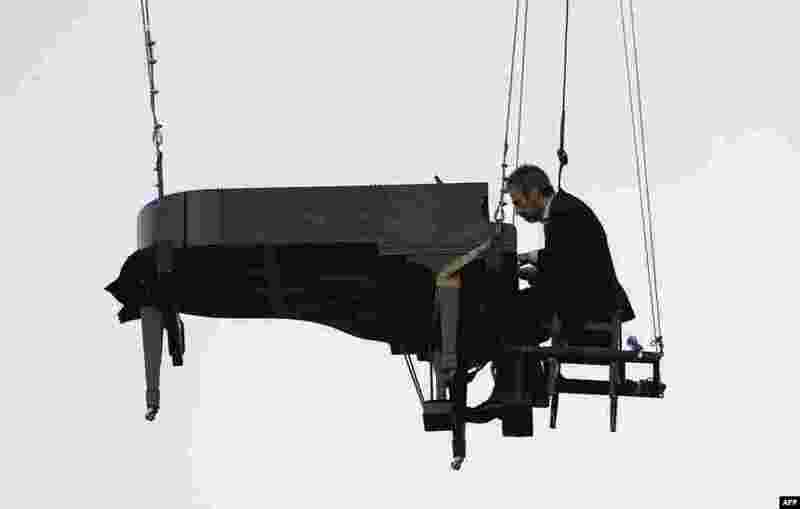 1 Brazilian pianist Ricardo de Castro Monteiro performs in the air at a piano hanging from wires, during the annual "Virada Cultural" event, in Sao Paulo, Brazil, June 21, 2015. 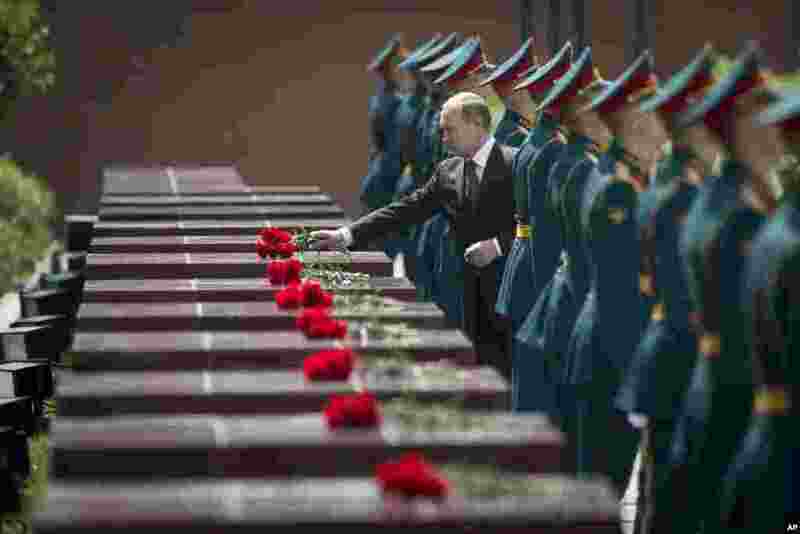 2 Russian President Vladimir Putin, center, takes part in a wreath-laying ceremony at the Tomb of the Unknown Soldier outside Moscow's Kremlin Wall. 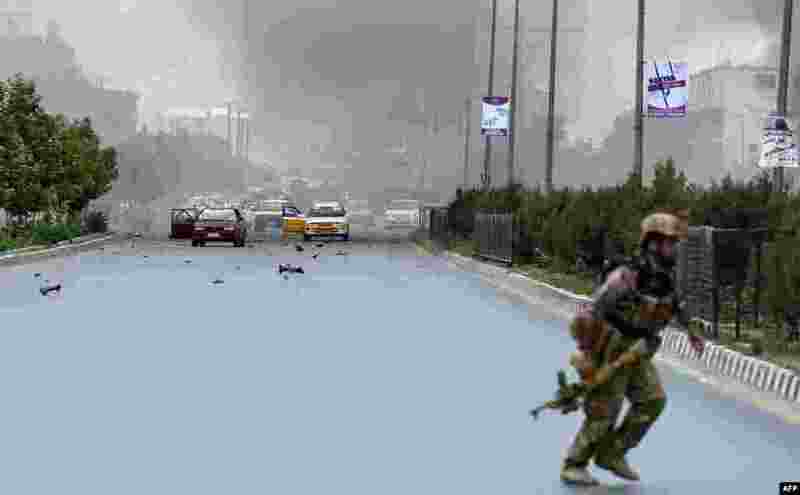 3 An Afghan security official runs at the site of an attack in front of the Parliament building in Kabul. Taliban militants attacked the parliamen, with gunfire and explosions rocking the building, sending lawmakers running for cover in chaotic scenes relayed live on television. All MPs were safely evacuated after the attack, which came as the president's nominee for the crucial post of defense minister was to be introduced in parliament. 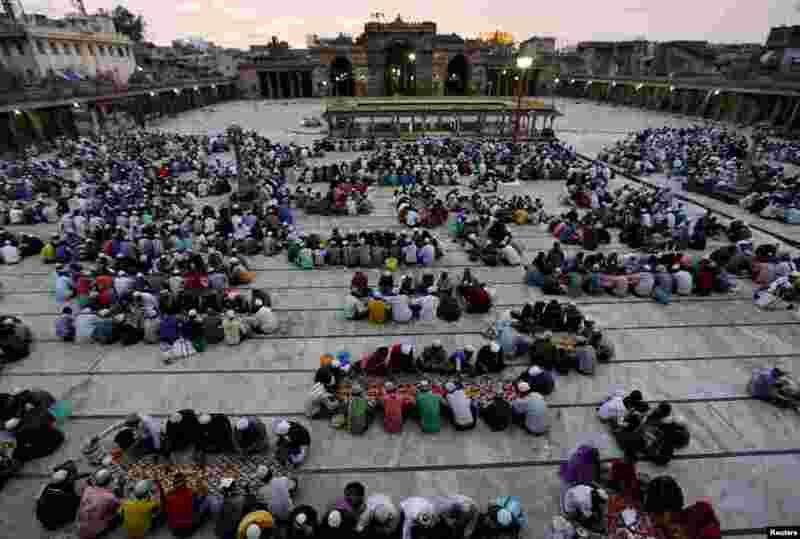 4 Muslims eat their Iftar meal during the holy month of Ramadan, at a mosque in Ahmedabad, India.